» An international team of Deutsche Bank volunteers supported the non-governmental organization Kinder im Zentrum Gallus - Kinder im Zentrum Gallus e.V. 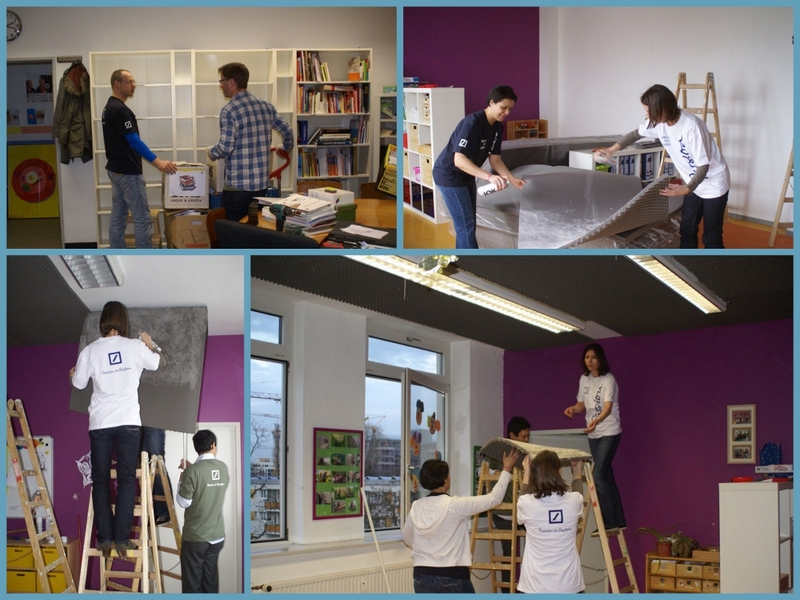 On February 25th, 2014 an international team of six Deutsche Bank volunteers supported the non-governmental organization Kinder im Zentrum Gallus e.V. / multi-generational centre which provides “services for excellence for every age”. The multi-generational centre is located in a district called Gallus meeting the needs of one of the most diverse areas within Frankfurt. It is continuously striving for the main goal of educational promotion and equal opportunities. Some of the activities are learning groups and playgroups, homework coaching, family empowerment, empowerment regarding the transit from kindergarten to school or school towards labor market, cross-generational activities, midwife services as well as a family oriented restaurant.